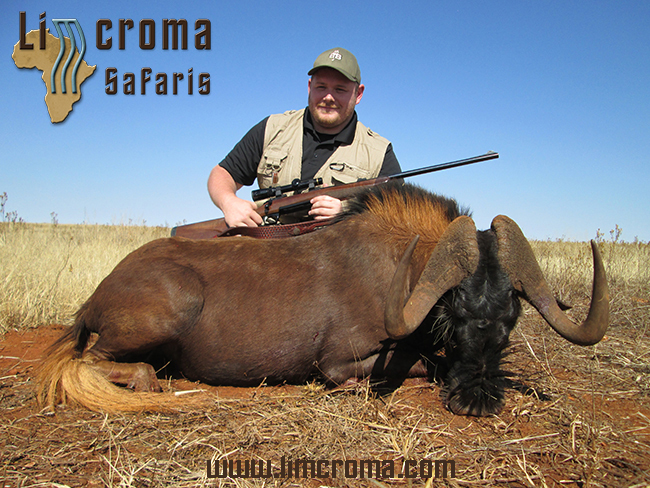 Limcroma Safaris of South African Limpopo Province has donated a 10-day hunt Plains game hunting safari for 2 hunters. Trophy fees included are 1 Zebra or Blue Wildebeest and 1 Impala, Blesbuck or Warthog for each hunter. With nearly 200,000 acres of privately owned and closely managed hunting concessions, Limcroma Safaris operates a first class safari adventures in the Limpopo Province, the premier hunting destination in South Africa. This exclusive 10 day plains game safari includes daily rates for 2 hunters, trophy fees for 1 Blue Wildebeest and 1 Impala, Blesbuck or Warthog for each hunter, licensed professional hunter, tracker, skinner, camp staff, and daily laundry service. Guests will enjoy delectable cuisine prepared in traditional South African fashion, wild game dishes, and beverages including fine South African wines, local beers, and liquor. Accommodations include luxurious native thatched five-star chalets with ensuite baths. Upon arrival at OR Tambo International Airport in Johannesburg, guests will personally be met by a Limcroma Safaris Representative and transported to their private game lodge. Additional plains game and dangerous game species my be added at current price list prepared at a reduced rate exclusively for Safari Club International Chapters.